St. Patrick's Day is the celebration of the feast day, and the day of death, of Patrick, the patron saint of Ireland. Patrick was born in Roman Britain. He had a difficult youth, as he was seized by Irish raiders and carted away to Ireland, where he served as a slave for six years. He eventually escaped back to his home, where he became a deacon and bishop in the church. He later returned to Ireland as a missionary, and is now known for laying the foundation for Chritianity in Ireland. The shamrock became the symbol of St Patrick and because he used it to teach the Irish about the trinity. This collection celebrates St Patrick’s Day and all things Irish. 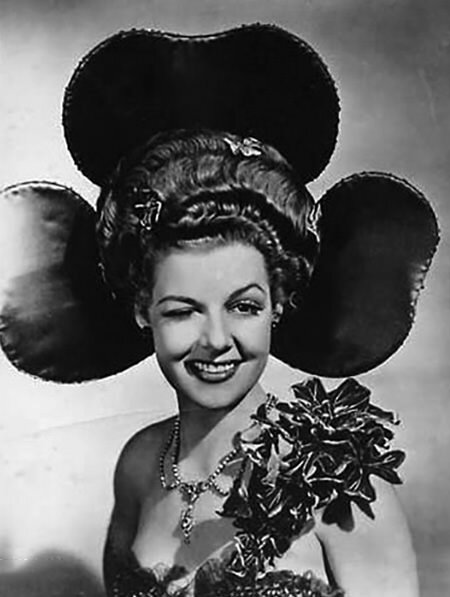 It includes comedy shows with Fibber McGee and Molly, Bob Hope, and Burns and Allen, adventure with Have Gun Will Travel, drama with Lux Radio Theater, as well as Irish songs from Ada Jones and Bing Crosby. This delightfully varied collection will surely inspire you speak with a roll of the tongue and grab the green from your closet, whether or not it is March 17th! For more Irish-themed old time radio shows, see also: Life of Riley. I just want to thank you and OTRCAT for the wonderful stuff I have been finding at OTR. What a fine collection of good music and shows. I have specially loved Martha Tilton performances,as well as many others. Thany you very much. Sylvio.